5/8/2018 Online Personal Property & Estate Auction. 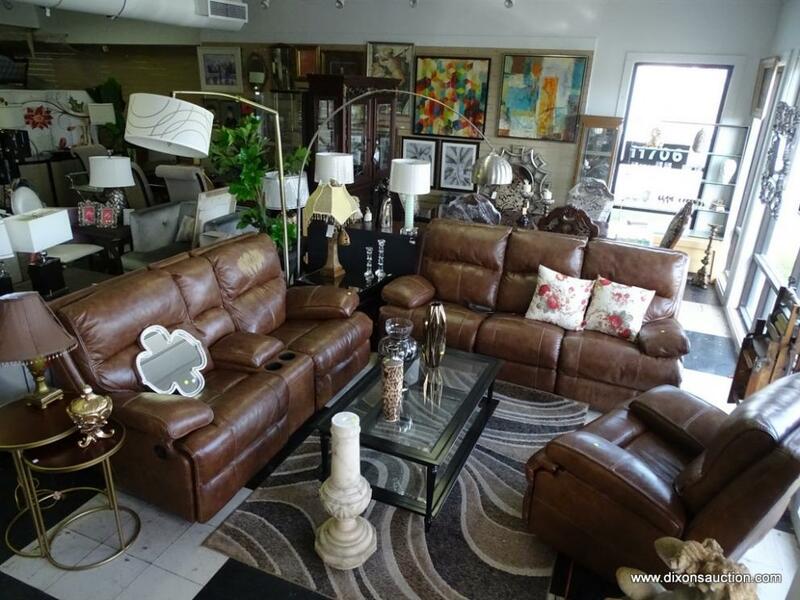 An Online Personal Property & Estate Auction Closing 5/8/2018. IF YOU EVEN THOUGHT ABOUT BUYING BRAND NEW FURNITURE IN THE LAST 6 MONTHS, BE GLAD THAT YOU WAITED! 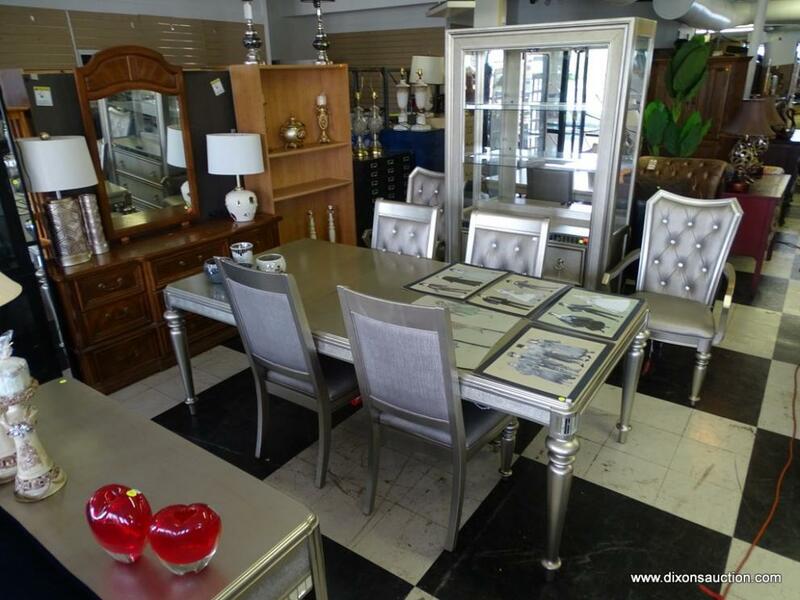 DIXON'S ONLINE AUCTIONS IS PROUD TO ANNOUNCE THE FURNITURE BUYING OPPORTUNITY OF THE YEAR... WE HAVE FILLED OUR SATELLITE LOCATION ON MIDLOTHIAN TURNPIKE DIRECTLY ACROSS FROM CARMAX WITH A HUGE SELECTION OF DESIGNER / DECORATOR FURNITURE, QUALITY LIGHTING / LAMPS, CARPETS, HANGING WALL ART AND DESIGNER MIRRORS, DINING ROOM SETS, LIVING ROOM SETS, LEATHER SOFAS, SETTEES, AND RECLINERS. JUST INSIDE THE FRONT DOOR WE HAVE A GORGEOUS FRENCH BOMBAY 2 DRAWER MARBLE TOP CHEST WITH VERY ORNATE BRONZE ORMOLU THIS SALE ALSO HAS LOTS OF QUALITY ACCENT PIECES SUCH AS DECORATIVE VASES AND JARS, SOME BEAUTIFUL TABLE LAMPS BRAND NEW WITH DROP BEADS OR TASSELS ON THE SHADES, VERY NICE LARGE ARCHED FLOOR LAMPS THAT WORK WELL WITH SECTIONALS OR FULL SOFA SETS. WE ALSO HAVE CONCRETE STATUARY THAT LOOKS JUST AS GOOD INSIDE AS IT DOES IN THE GARDEN, CONTEMPORARY SCULPTURES, ACCENT PILLOWS, CENTERPIECES FOR YOUR DINING ROOM TABLE, SEVERAL BRAND NEW CURIO CABINETS WITH LIGHTING, BRAND NEW ROLLING SERVING CARTS THAT WOULD BE PERFECT FOR ENTERTAINING, FOLDING ROOM DIVIDERS, LARGE ARTIFICIAL PLANTS TO GIVE A ROOM THAT HEALTHY GREEN FEELING, WE HAVE A FULL SET OF WHITE WICKER FURNITURE FOR YOUR SUNROOM, SEVERAL VERY NICE CONTEMPORARY DINING ROOM TABLES AND CHAIRS, SOME BEAUTIFUL SOFA TABLES, COFFEE TABLES, SIDE TABLES, END TABLES, MANY OF THE PIECES CAME STRAIGHT TO US AND STILL HAVE THE TAGS ATTACHED. 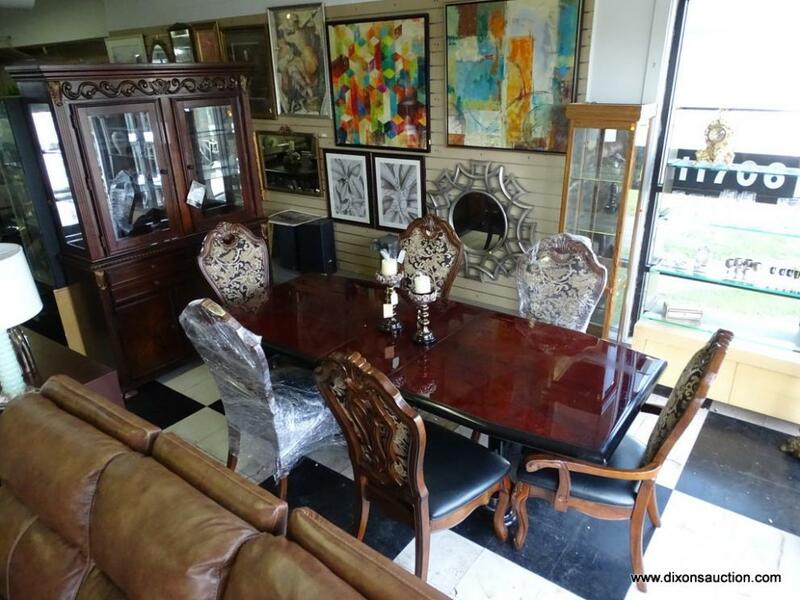 THIS IS YOUR CHANCE TO ADD SOME QUALITY FURNITURE TO YOUR HOUSE AT AUCTION PRICING! AND AS ALWAYS DON'T FORGET DIXON'S IN-HOUSE SHIPPING DEPARTMENT WILL SHIP YOUR WINNING ITEMS IF NEEDED ALMOST ANYWHERE AT A VERY REASONABLE RATE. PLEASE, IF AT ALL POSSIBLE COME PREVIEW THESE ITEMS FOR YOURSELF AND THEN YOU CAN BID WITH CONFIDENCE ONLINE FROM THE COMFORT OF YOUR OWN HOME. IF YOU DON'T HAVE TIME OR A VEHICLE TO PICK THESE ITEMS UP IT'S AS SIMPLE AS CALLING WEST WHITE AT 804- 598-5099, ASKING FOR YOUR SHIPPING QUOTE AND THEN CONFIRMING WITH WES IF YOU WOULD LIKE TO HAVE THOSE ITEMS DELIVERED. WE APPRECIATE YOUR TIME AND BIDS AND I HOPE THAT EVERYONE GETS LOTS OF GREAT DEALS. You can preview these items on Sunday 5/6/2018 between 12PM & 4PM. All items will begin to close on Tuesday 5/8/2018 @ 7PM Eastern. All items must be picked up on Friday 5/11/2018 between 10AM & 1PM & between 2:30PM & 6PM. This is the only time for pickup. Any items not picked up are considered abandoned. Delivery is available, call 804-598-5099 for quotes.